Invariably you will have one of these at your desk. You’ll likely be seated right now, but are you sitting comfortably? If you work full time and you are office based you may spend 1200 hours a year sat in it. Over time you will adjust the way you sit to suit the chair, if the chair doesn’t offer you any support your body will work harder to support itself. This can lead to back and neck problems, or exacerbate issues that you may have already such as disc injury or sciatica. Those commonly heard issues, such as RSI can be caused like this. 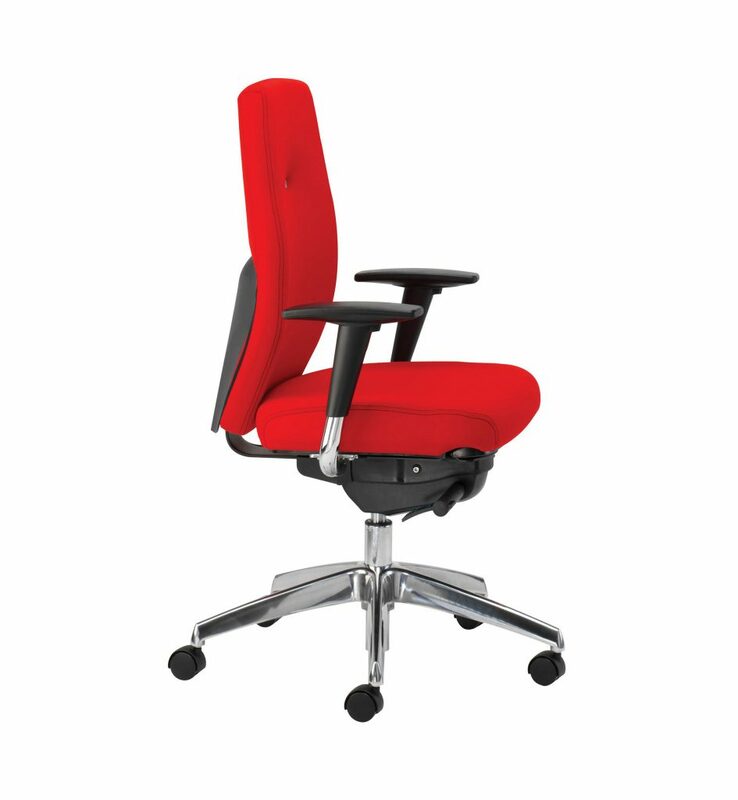 Here’s our advice on how to approach your next office chair. 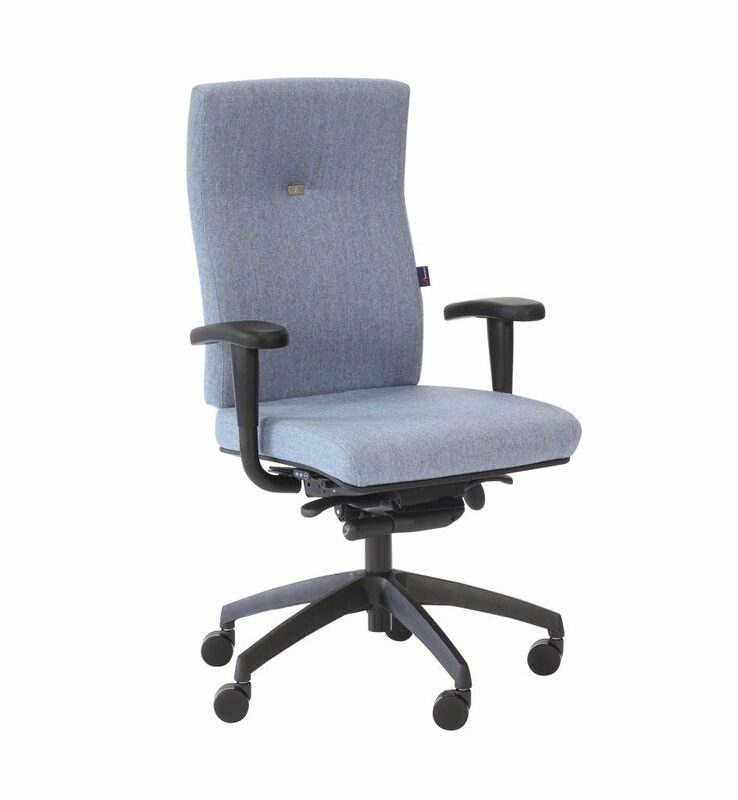 Ideally, look for a chair with lumbar support, seat depth adjustment and a free float tilt mechanism, as these will ensure that the chair can be adjusted to suit you as well as encourage movement. And for the same reasons, although it may cost you more, it’s also good to choose one with armrest adjustability and different size options. Operator This mechanism has lever operated back angle adjustment that can be locked in any position or left to follow the user’s movements in dynamic free float mode. Operator Plus Similar to the Operator mechanism but with additional, lever activated, seat tilt adjustment. Where indicated, most include tension control to adjust for different user weights. Operator Synchro With this mechanism the back and seat recline together in a fixed 2:1 ratio. They can be locked in position or left to follow the user’s movements in dynamic, free float mode. They have adjustable tension control. Seat Slider Where fitted, a seat slider facilitates horizontal seat adjustment. 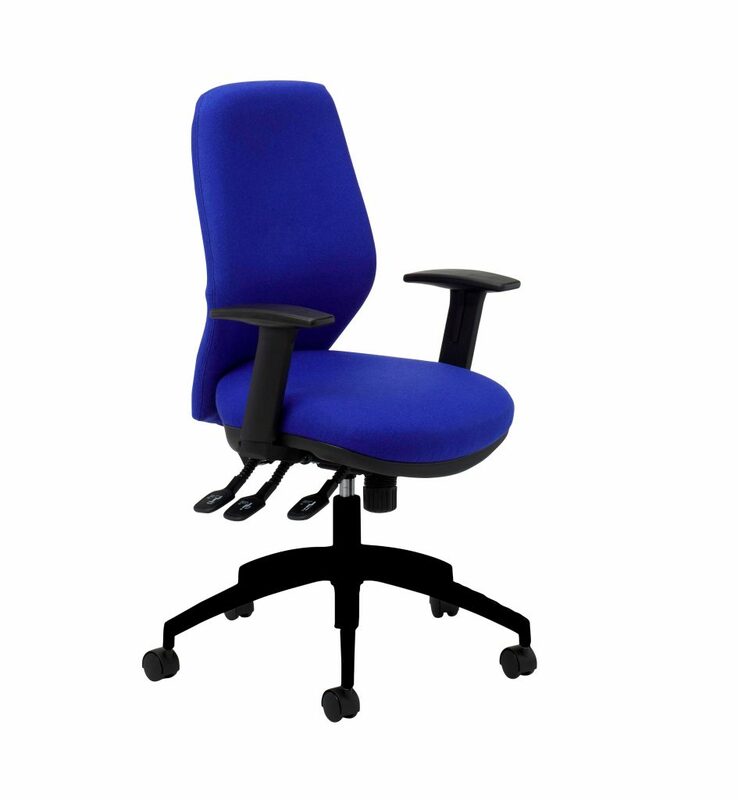 This is ideal for extra leg support or where a chair might have multiple users with different seat depth requirements. 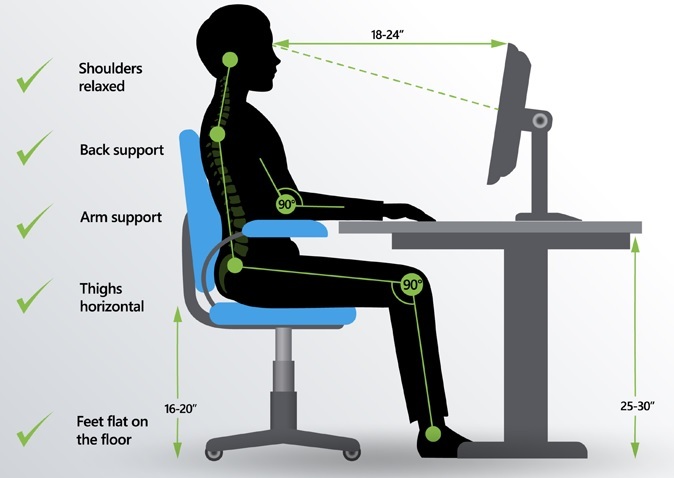 ​It is simple for anyone to achieve a healthy sitting posture with a well-designed and correctly adjusted operator or task chair. 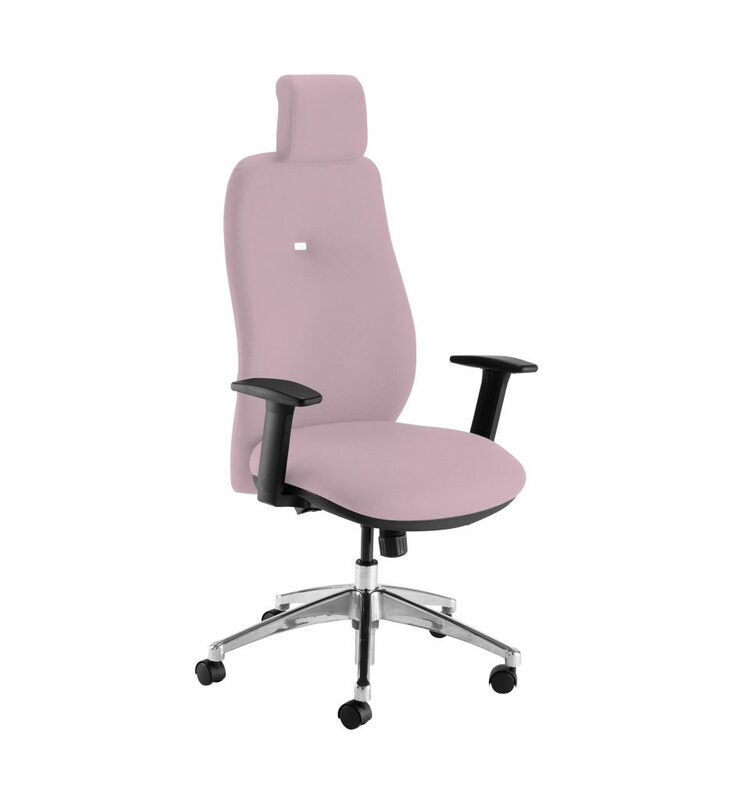 Ideally the chair size should be chosen to suit the user; which is one of the reasons why we offer so many different ranges. The controls should be easy to reach, but it is just as important that the other elements of a workstation are suitable and correctly positioned for the task that is to be undertaken. 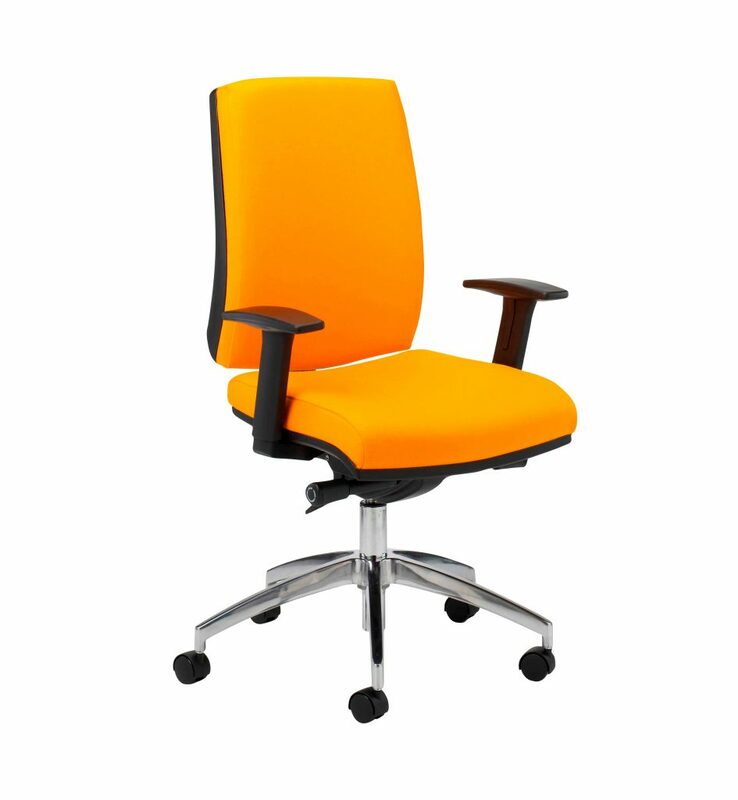 The chair must be close to the desk to avoid the need for to lean forward for long periods of time and the desk height must be level with their elbows. The seat height must be set so that your hips are slightly higher than the knees, whilst your feet are flat on the floor. If this cannot be achieved, because the desk is too high, then a footrest should be used. The top of the computer screen should be positioned at eye level. The key to healthy sitting is to maintain a natural, “S” shaped spinal curve. This will minimise uneven compression of the spinal discs and muscular strain, whilst improving respiration and circulation. Sit back into the chair thereby maintaining contact with the backrest. 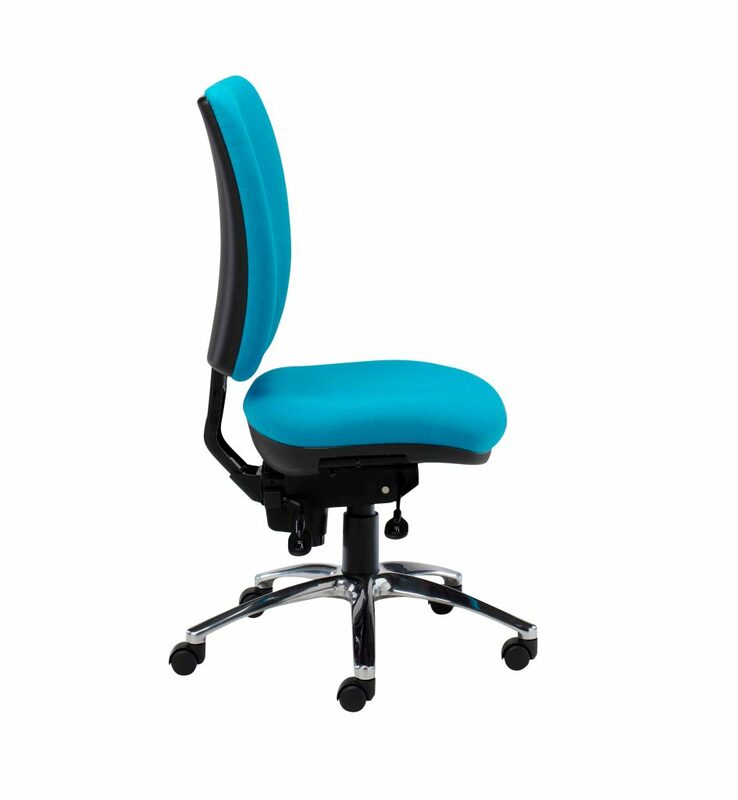 The height of the backrest should be adjusted so that the lumbar support is positioned adjacent to the inward curve of the lower back. The provision of a forward tilting seat can also be helpful as it rotates the pelvis forward thereby naturally encouraging the healthy “S” shape curve. 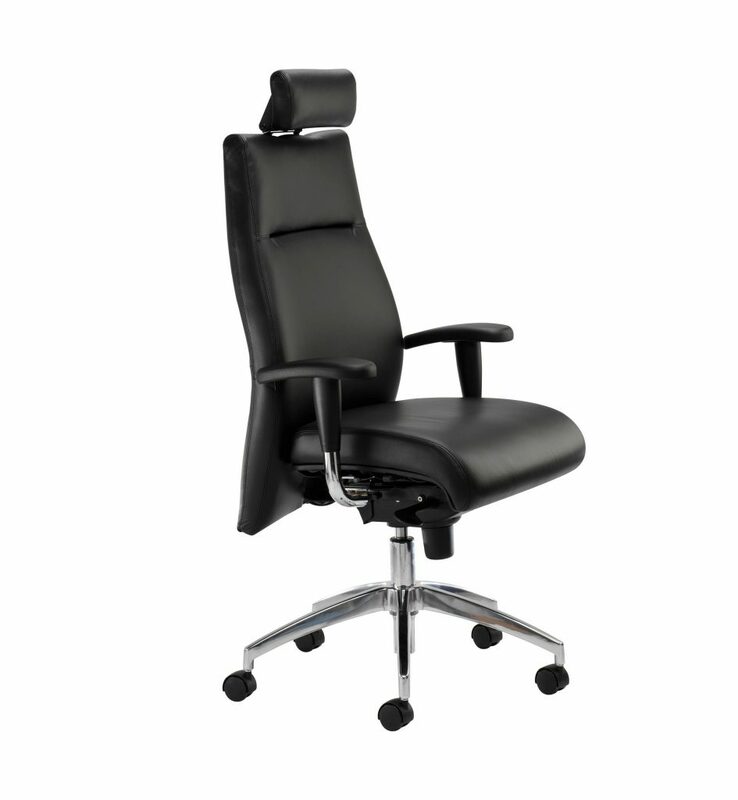 All operator and task chairs have the facility to recline the backrest. This adjustment should be used sparingly as it changes the angle between the seat and back and could result in the pelvis rotating backwards and loss of the “S” shaped spinal curve position. The choice of a synchro mechanism will minimise this effect since the seat moves along with the back to maintain good posture. A good chair should have at least 5 years warranty and should last well beyond that. Never buy a chair on looks alone. A lot of the comfy plush looking chairs on the market don’t offer the mechanisms for supporting you properly. 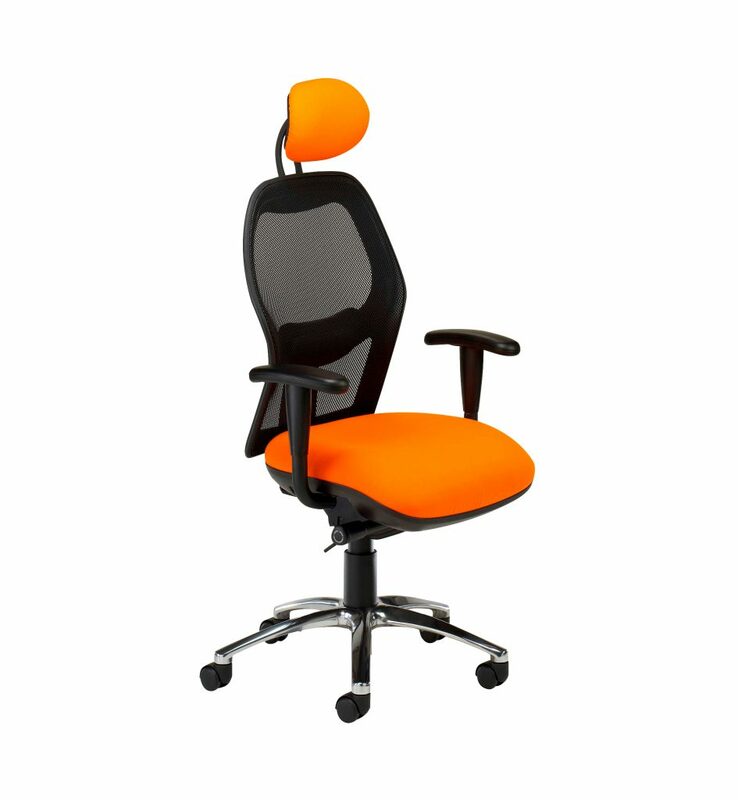 Chairs with fixed arms to seat and back don’t offer the range of flexibility you’ll find in other ranges, so unless they suit your posture in their fixed position it simply won’t be suitable for you. 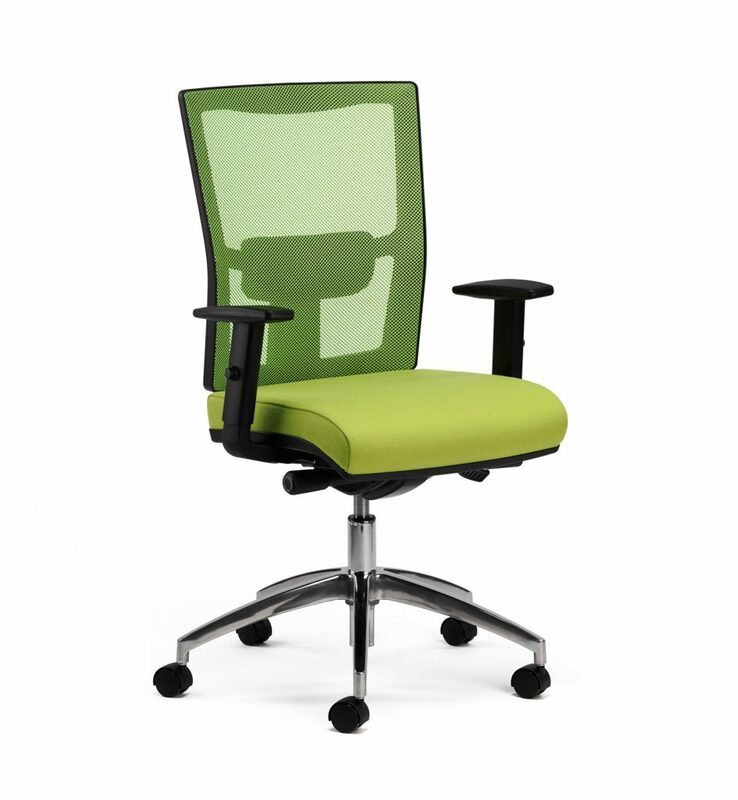 Find a supplier who will show you how to use your chair and fit it for you on delivery. We offer a sampling service to enable you to try before you buy. 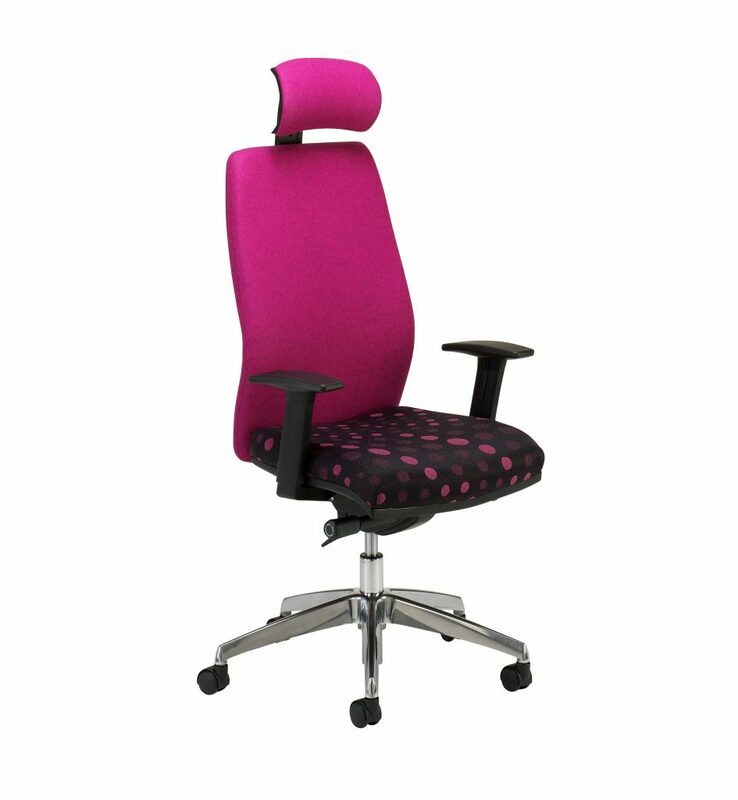 A lot of our chairs carry a 5 year on site warranty with longer warranties on the fabric, they are delivered assembled, and are manufactured within the UK.